The iOS App Switcher was the only solution to view all your open apps and close the ones that you’re not using. For instance, if you have many apps that are open, it can be a difficult task to close each of them one at a time. This is where KillBackground10 comes in to save your precious time. This jailbreak tweak allows you to close all apps at once in iOS 10 with the touch of a button. This means you no longer have to waste your time closing each apps individually. 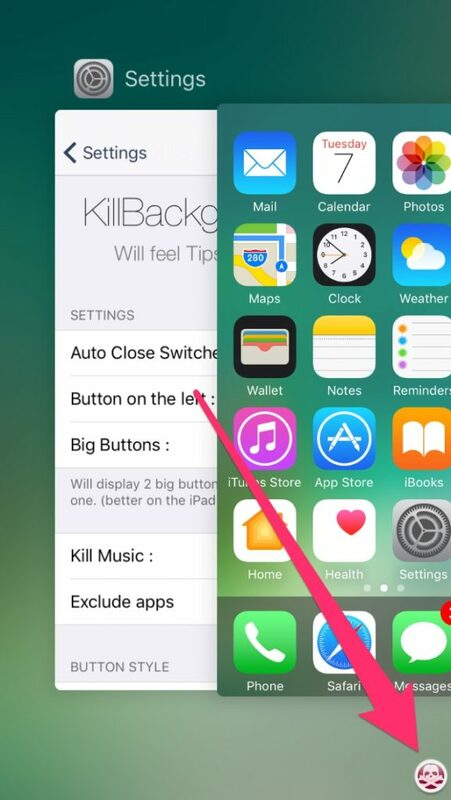 After you install KillBackground10, double press the Home button to open the App Switcher. You’ll notice that there’s a tiny button in the bottom right corner. Tapping on that button will instantly close all the apps that are open. 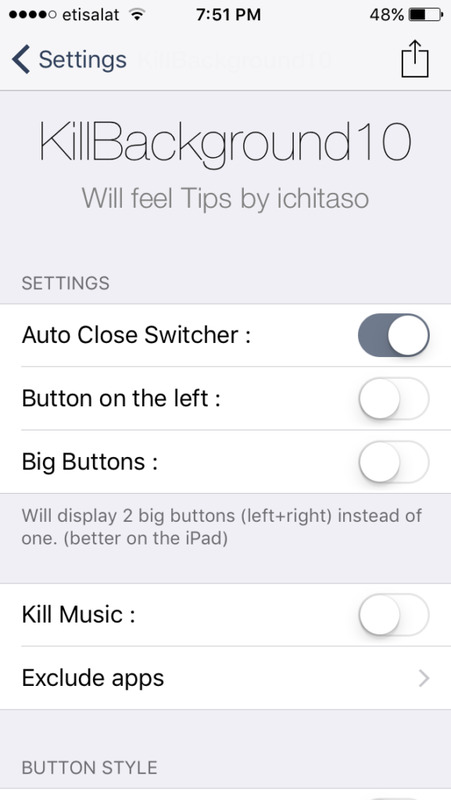 Automatically close the App Switcher after the button is pressed. Enlarge the size of the button. Position the button on the left side of the App Switcher rather than the right. 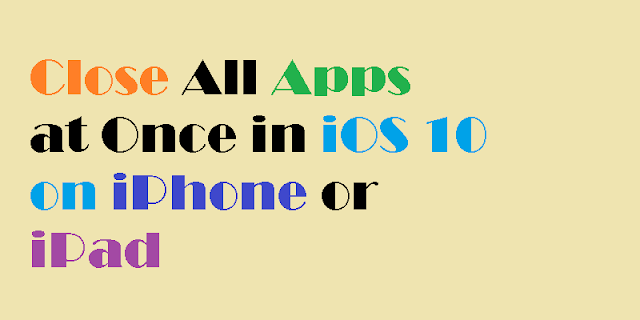 Choose whether the Music app should be closed. This is useful when you have a song playing in the background and you don’t want the Music app to be closed. Exclude the apps that shouldn’t be closed by this tweak. As you can see, the tweak offers a bunch of settings that allow you to configure its behavior and the way it functions. It has the ability to disable the apps that shouldn’t be closed by this tweak. An example is the Music app when there’s a song playing in the background. This tweak was developed to kill at once to save our precious time. Let's appreciate jailbreak team, they made it easy for all of us.